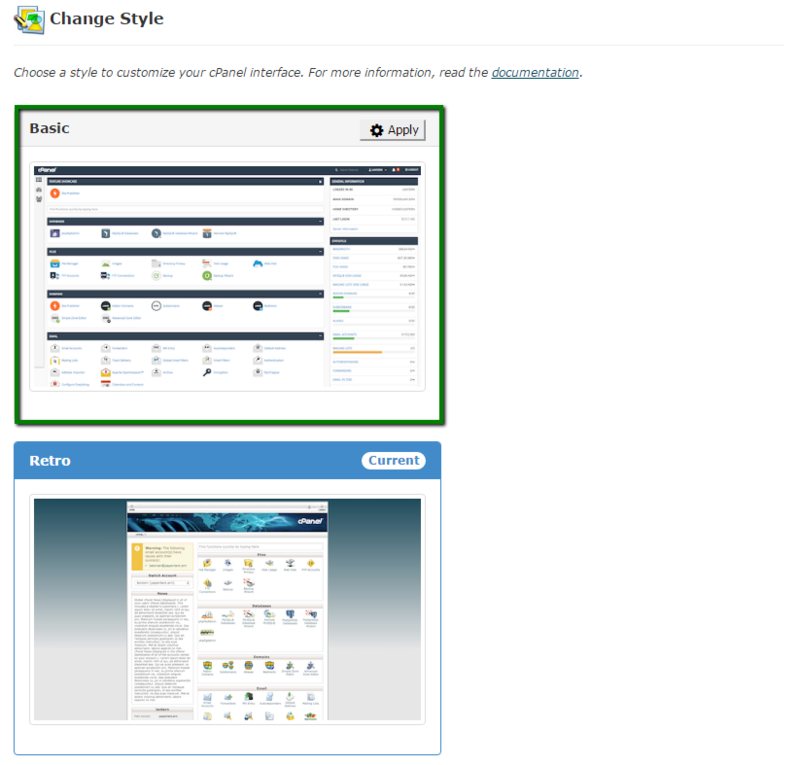 How to change cPanel style? cPanel is currently in the process of x3 theme sunset. Since we strive to provide you with the up-to-date software, we have updated cPanel version on our servers as well, and all accounts are re-configured with paper_lantern theme. Paper_lantern theme suggests not only an updated appearance, but a new-level performance and reliability as well as a number new handy tools. 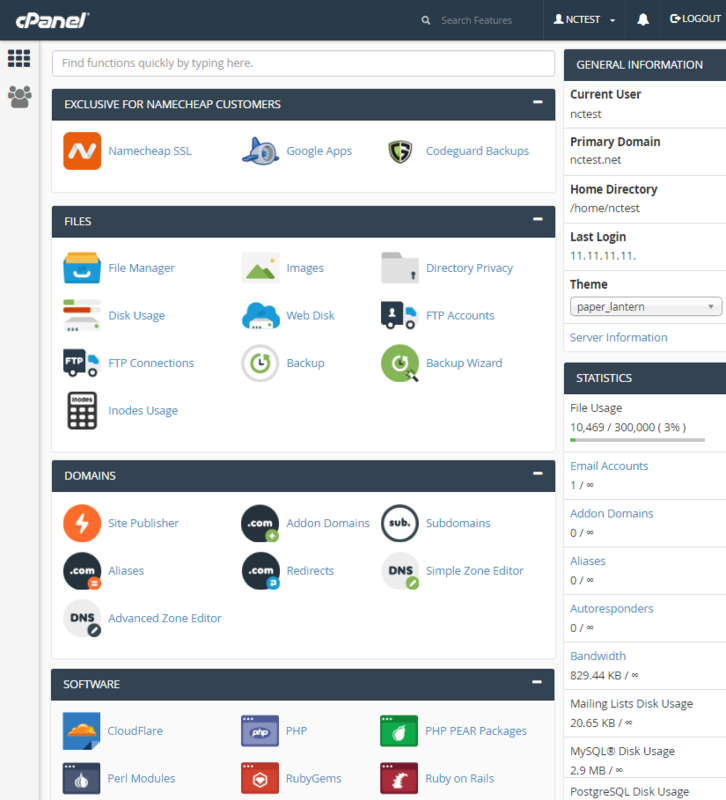 However, let’s get back to the new cPanel look. Currently you can choose between two styles – Basic and Retro. A definitely fresh look comparing to the legacy x3 theme that was the most popular one during the last 8 years. The new Basic style may be that thing many users were looking for – simple-clean, flat design, pretty icons and elegance appealing to the eyes. Nothing extra. Moreover, this layout will be a good solution for those using widescreen monitors and mobile devices for cPanel access. The whole interface and functionality supported by this style resemble well-known x3 theme. However, keep in mind that Retro style is meant to ease the transition to Basic, and can be considered as a temporary option only. 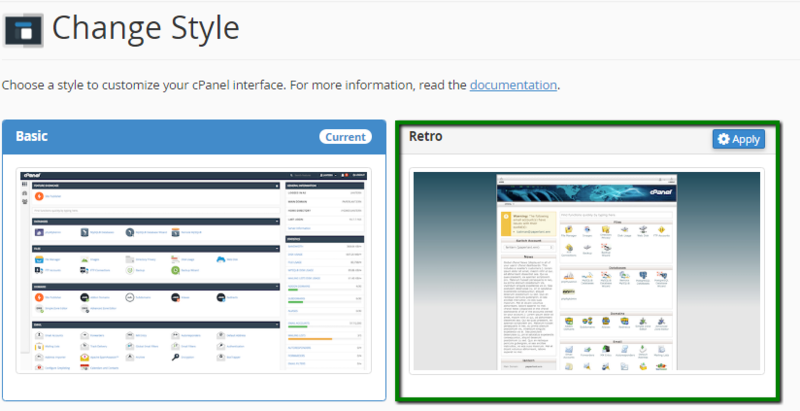 cPanel is planning to remove Retro style in the future.